M. Night Shyamalan is, without doubt, the most frustrating directors around. He has some amazing ideas for his films and yet he just doesn’t know how to execute them without infuriating his viewers. Looking over his career, he has some incredibly interesting ideas yet most of them fall flat on their face. He is a very talented director, no doubt, who tries to deliver films that look terrific, with camera angles and cinematography that most filmmakers would love to produce. It’s the contents that fail. He’s even willing to try and cross over movies that seem as far removed from each other as they can get. 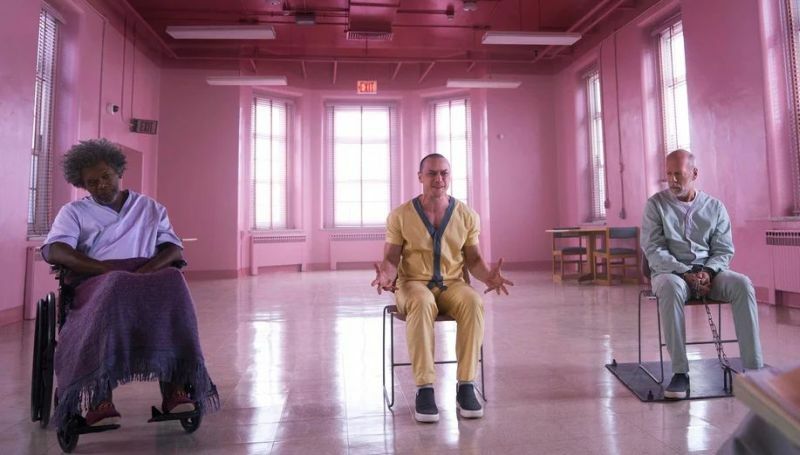 Glass is that movie, a sequel to two of his films, Split and, in my opinion, his finest movie to date, Unbreakable. Can the old magic of Shyamalan return? Kind of. In a frustrating way. David Dunn spends his days with his son trying to find the man who has kidnapped four cheerleaders. 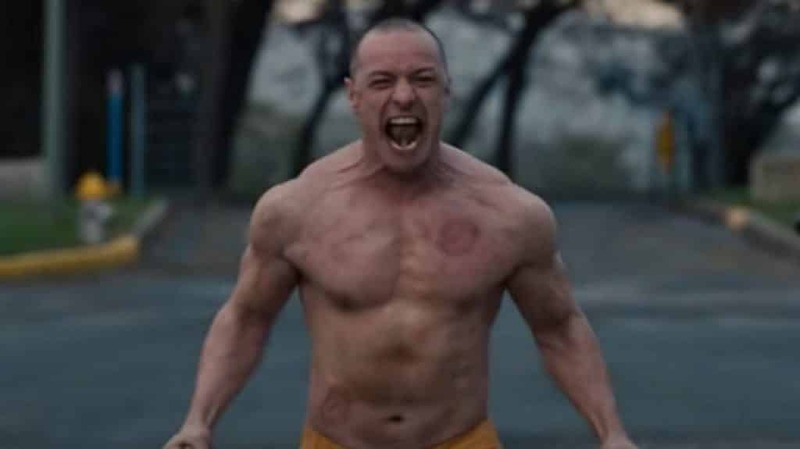 Using his supernatural powers of touching passers-by, he bumps into Kevin Wendell Crumb, the man with 24 different personalities, including the monster known as The Beast. During a rescue mission, David and Kevin are captured and taken to a psychiatric unit where Dr Ellie Staple has a few days to convince the pair they do not possess superhuman powers. The hospital also holds Elijah Price, the superbrain with brittle bones who David put away. The film kicks off in explosive style as we are reintroduced to David Dunn, the security guard who was the sole survivor of a train crash in Unbreakable, a man who seemed indestructible, the ability to touch someone and see their past indiscretions as well as incredible strength. With his son, Joseph, now all grown up, the pair has become a vigilante team with Joseph checking the internet for possible criminals that David can punish. Their interest turns to the kidnapped girls which leads to the meeting of Kevin, who we first met in Split. It then moves to the secure institute where David discovers his former friend Elijah Price, an expert in comic books who turned into a supervillain. Being held by Dr Staple, using specialised equipment to keep David in his cell (a room full of large sprinklers that will fill the room with water, his one fear) while Kevin has flashing lights to control the various personalities. This second act feels more like the pacing of Unbreakable, slow, wordy and an opportunity to examine the characters in detail, although he seems to miss the mark for that. David and Elijah speak very little throughout this section, with only Kevin’s personalities popping up. The focus seems more on Dr Staple, with long, explanatory pieces about their powers and how they only think they are superheroes. It’s in the final half hour when the film comes alive again but it also becomes the most frustrating. Shyalaman’s trick of adding twists to his films come into action once again. As with previous films, these twists are a hit and miss affair and you feel that if he concentrated on one, it would have worked wonders. However, it just feels like he has no idea how to end his movie and so moves it into the ridiculous. The three leads have mix results too. James McAvoy as Kevin has the most fun and the best opportunity to shine, bouncing from the many personalities that live inside his character. The Beast is a fearsome creation that shows off McAvoy’s beefed up physique and is scary as hell. This, like his previous film Split, is McAvoy’s movie. Sarah Paulson delivers a smooth velvety performance as Ellie, while Samuel L. Jackson relishes playing the scheming Mr Glass. Only Bruce Willis returning as David is let down with an underdeveloped character with very little to do. Glass will please those who want to know what happened to the characters from those previous films and having some knowledge of them will certainly help. Shyamalan’s style of filmmaking is really on form here but I just wish his stories wouldn’t run away from him. A perfectly formed first 2/3 led down by an overblown finale.